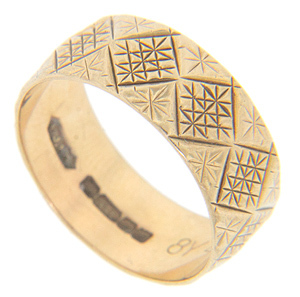 Criss-crossing lines and diamond shapes cover the surface of this 9K rose gold antique wedding band. The wedding ring measures 7.4mm in width. 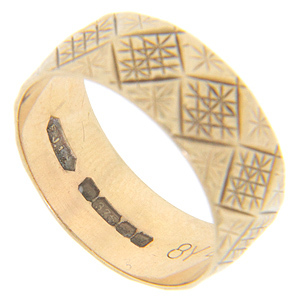 The interior of the band is hallmarked. Circa: 1880. Size: 6 1/2. Cannot be resized.